[Weekend Poll] Do You Pay For A Subscription-Based Music Service? Which One? 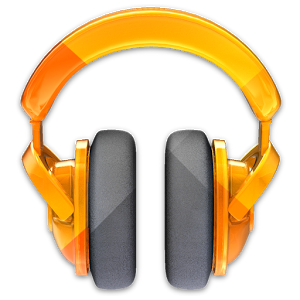 With Google Play Music All Access coming to more and more countries around the world (though obviously still not all of them), Google is expanding the reach of its all-you-can-eat music platform into regions where services like Spotify reign supreme. Listening to music on your smartphone (or tablet) is probably an activity all of us partake in, too, so I'm curious to know what kind of services our readers actually like enough to pay for. As such, this week's question is simple. I've tried to include a pretty comprehensive list of the paid services out there, but if you can't find yours, just select "other" and explain in the comments. If you subscribe to more than one service, select the one you use most often. If you're just using a locker service - something like Amazon Cloud or Google Play Music without an All Access subscription - the second to last option in the list is for you. Finally, if you only use free music streaming services, see the last choice. There are a lot of options, so read carefully, and get voting! Do you pay for a subscription music service you use on your Android device, if so, which one do you use the most? No, I use local media for the most part. No, I use a cloud-based or other music locker-style service / app (eg. Amazon Cloud, Play Music w/o All Access, Subsonic, etc. ).